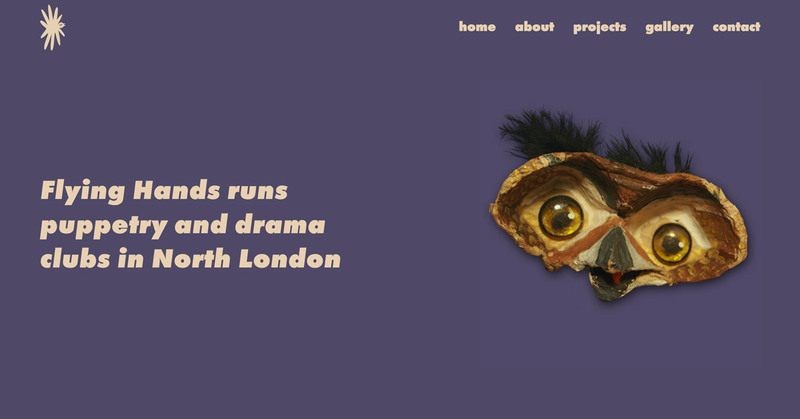 Flying Hands provides puppetry and drama clubs in north London. I previously worked on the company's branding and more recently on their website. Inspired by Anna Kövecses's illustrations, for some time I’d wanted to incorporate her colour palette and irregular shapes into web design. 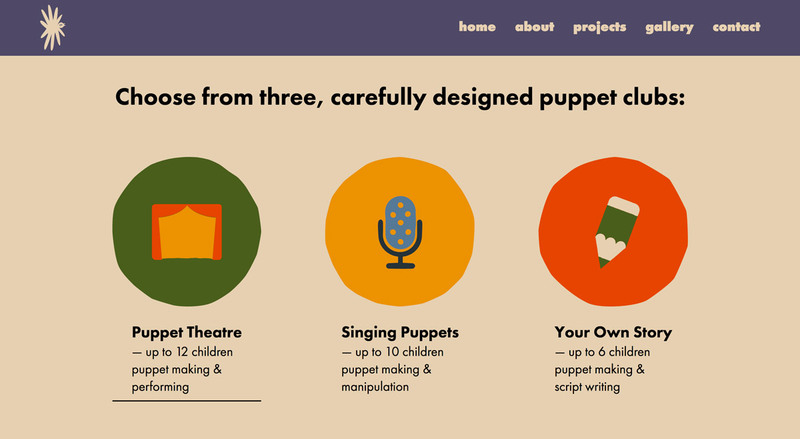 In the case of Flying Hands the timing was perfect, a great company with an artistic profile that works with children - in need of a digital designer. The Flying Hands website is SEO-friendly; its architecture is optimised to obtain high-ranking search engine results. 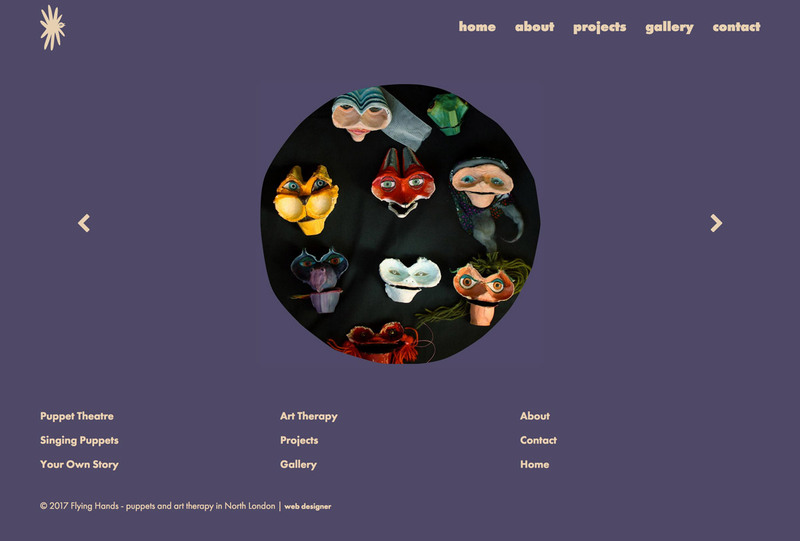 The design style is minimalist and the website can be comfortably viewed on any device, from mobile phone to desktop.